Parents, let’s have a little chat…ok? If I was to make a list of the skills I want my kids to have when they eventually leave my home at 18 years old, I promise you that financial responsibility and money management are at the top of the list. I suspect you feel the same. Yes, I also want them to be respectful, to be good citizens of the world and to practice kindness at every turn…but money….they need it for all the basics. But let me give you a MUCH better option. Let me introduce you to Current. 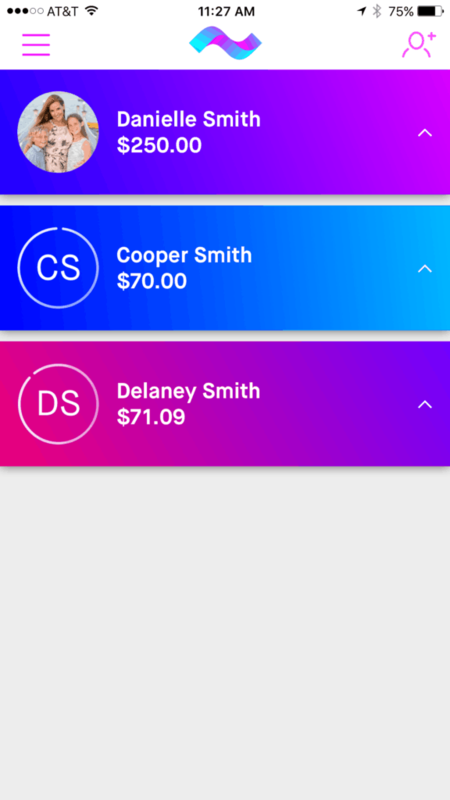 Current is an app-based smart debit card for teens. It allows parents like you and I to teach our children financial responsibility and money management. It sounds like a tall order, I know, but it is actually SIMPLE. I will break it down for you. When you create your account, you will attach it to your bank account and then create accounts for your child or children. In my case – I created one for both Delaney (13) and Cooper (11). We all then download the Current app – available on both IOS and Android. My kiddos receive an actual debit card with their name on it. When it arrives, you will create a personalized pin number so it can be used. From here, I transfer money from my bank account to MY Current account and then decide how much and when I’d like to put money in my kid’s Current accounts. (no, my kiddos DO NOT have access to my bank account….the only money in their account is what I transfer over.) I transfer money to them by creating an allowance (this can be weekly, bi-weekly, etc) or attached to specific chores. I can give them a weekly allowance of $5, $10, $15 OR….I can decide that I don’t do a regular allowance, but rather will pay them what they EARN – $5 for washing my car, for scrubbing the kitchen floor, or cleaning the baseboards, etc. 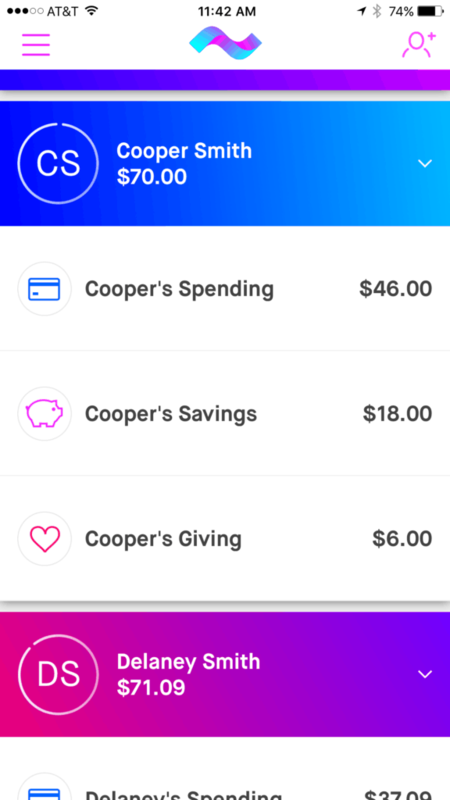 Within the app – their accounts are broken down into the three ‘wallets’ that teach them the accountability they need to NEED to grow into financially savvy adults – spending, saving and giving. In our home, we have decided to break those wallets down like this – 60% of what my kiddos earn goes in to spending, 30% in to savings and 10% in to giving. 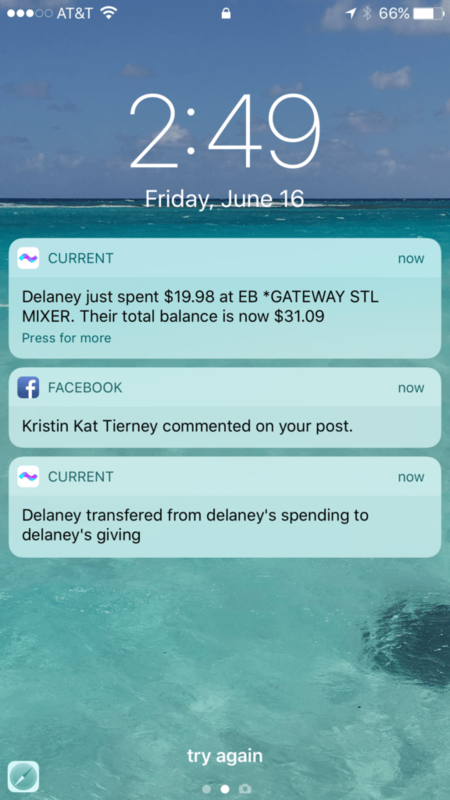 Transparency: The very moment Delaney or Cooper spends even a penny, I get a real-time notification telling me not only how much they spent, but WHERE they spent money. If I don’t like where they have spent, or think they are spending too frequently with a particular retailer, I have the option to block an individual retailer. Delaney spending too much at Starbucks or hopping online too frequently to order from Amazon? We can have a conversation about it – or?Blocked. 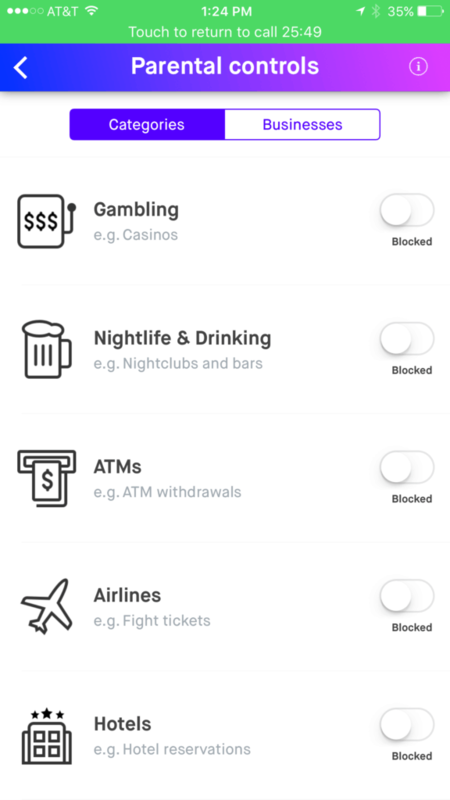 Parental Controls: Within my settings, I can limit entire categories of spending – meaning, with a simple click of a button, I can prevent my children from being able to use their current card for anything airline or hotel related or even at an ATM. I can also suspend their account if I believe they are abusing the privilege or if the card is lost or stolen. Giving: I cannot say enough about this feature. I mentioned Coop and Delaney are required to put 10% of their earnings in to this wallet. Once they hit a $10 threshold, they can ‘gift’ that money to one of nearly two million charities that are attached to this category. Your child can search for any type of charity that matters to them. Are they committed to helping animals? 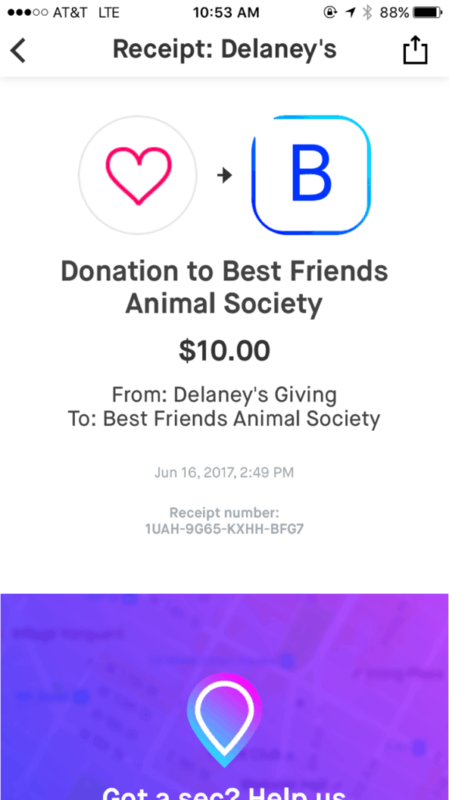 (like my girl) Donate to the Best Friends Society. Want to help a military organization? Make the Wounded Warriors Project the object of your gift. Worried about child hunger? Help Feeding America. There are so many extraordinary options. Security: Two-factor identification is an option, none of our information (social security numbers, etc) is stored by Current and there is a first class anti-fraud system in place to protect us and our children. Not to mention, as I said above – with the level of transparency, you know everything that is happening at all times, so you can suspend the card in seconds if you are concerned. Regular Updates: Current is constantly updating and improving the way both the app and cards work. Just added – specific chores – so you can click on some of the most popular options to assign them to your child – like walking the dog, cleaning their room or babysitting their siblings. Their website also tells you the average allowance being paid state by state. Coming soon: adding a second parent to the account and soon – within the ‘savings’ wallet – there will be an option to create a custodial investment account. Is there a fee for Current? It starts at $2/month with a variety of payment plans. **But for YOU – 3 months free with code: PrettyExtraordinary** Just visit Current.com to get started. Can it be used at an ATM? Yes, but you have the option to turn this feature off within your parental controls. Is there a fee to use Current at an ATM? Yes, there is a small fee, but it is specific to what the bank/ATM charges – there is no fee from Current. However, Current is working on bringing in the VISA+ ATM network to be charge-free. Can Current be used Internationally? Yes, and there is a small international fee specifically related to the currency exchange. Do you have an additional questions? I’m happy to answer any. Clearly, I’m thrilled with the experience we are having with Current – with the way it has eliminated my need to have cash on hand, the layer of safety and transparency it provides and the gift of financial savvy it is allowing me to teach my children. 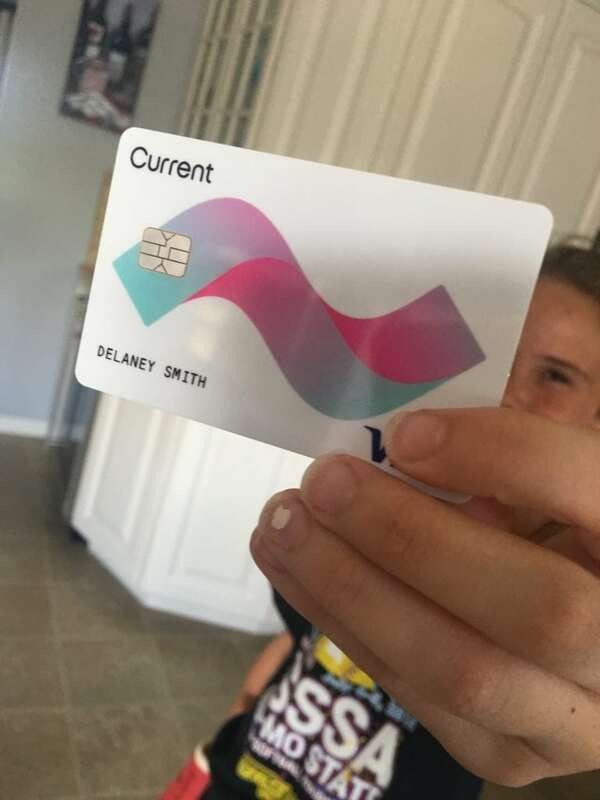 Disclosure: I’m excited to have partnered with Current to share this with you and to do a series of nationwide interviews for them as spokesperson for this Smart Debit Card for teens. If I could only teach my children one thing…..
I’m very interested in this! Can they choose to give to local charities? I checked with Current just to confirm….within the ‘give’ category – you would search for your local charity – if they don’t come up, email support and they will add them 🙂 There are more than 2 million in the system already. Let em know if I can help with anything else! Your timing could NOT be better. Thank you! I so love to hear that. Let me know if you have any questions…the kids and I are having some great conversations. This is an amazing idea! The days of just using allowance to teach financial responsibility are over. There’s so much more to it these days. I need to get this for my oldest daughter. It’s an excellent way to teach her how to manage money with a card. Cards can be easy to abuse, so this is the perfect teaching tool. I love that they have a donation area! I think it is vital we teach kids the importance of balancing their spending and giving back! Honestly the ‘giving’ is a favorite for me. I love that my kiddos are learning the full stretch of financial responsibility. Learning how to give is a huget part of that for our family. This is really great!! My husband and I were just talking about how our kids don’t get the concept of money. They are the same age as your kids. We will definitely be looking into this. 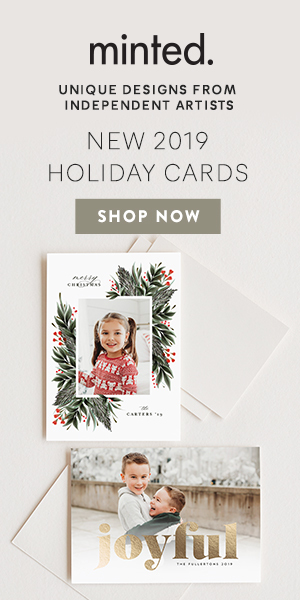 Please do let me know if you have any questions – my kiddos have had their cards for a few months now and are excited to be doing some holiday shopping on their own. That’s really awesome! I love the concept and how the whole thing teaches your kids to not just save, but help charities as well. That’s really good. It’s something that parents should look into. This is a really neat idea. My kids have been asking about earning money and it is tough to come up with a good system to keep track of an allowance. Plus when they have cash in their hand, they don’t keep track of it very well. I will have to check this out. This is a great idea. When my girls get older I’ll have to check this out. That’s really neat to hear about the donations too. This sounds like a great way to teach kids about money. Especially, when they see that we are constantly using our debit cards to pay for things. I like that you can even teach them how to save and give. I actually have some who are old enough that this would be really handy. I have always taught them smart financial decisions but it’s different when the money is so easily available like a debit card. Now THIS is an awesome concept. I’m far from needing it right now but am definitely keeping this in mind. It really is important that we teach our kids financial responsibility at a young age! This is a cool idea. What a brilliant idea. I would love to share this with my 11 year daughter because right now she does not know the value of money. Thanks for sharing! Please let me know if you have any questions – both my 13 and 11 year old have the card and it has been an incredible teaching tool. I do not have kids but it sounds like an important item for parents to give to their children to teach them about fiscal responsibility. Which they can never learn to early! You can never start too early teaching kids how to be financially fit. As a teacher, I appreciate this. Thank you for this – I so wish it was something I was taught when I was young.